Plans to impose new traffic restrictions in Stoke Newington have been criticised by a neighbourhood group for “short-changing” residents. Hackney Council is currently consulting on road closures in the Walford Road area in the latest stage of its development of Cycle Superhighway 1 (CS1). According to the consultation document, the aim is to “create a safer, more pleasant environment for everyone using this area, especially for pedestrians and cyclists”. Two alternatives have been put forward. The first is to permanently close access to motor vehicles at the junctions of Barbauld Road and Albion Road, and Allen Road and Shakspeare Walk. The second option suggests blocking access to Nevill Road between Osterley Road and Walford Road. But a residents’ group has expressed concerns, calling the plans a “clumsy attempt” to solve traffic problems caused by previous closures around Wordsworth Road. In a statement, the group said: “The council was warned by residents that the first set of closures would cause traffic displacement into Brighton Road and Walford Road. “Predictably, traffic on these roads has doubled, with an upsurge in road rage and pollution on specific junctions that has to be addressed. “Closures may lead to wider traffic displacement and associated problems of pollution, safety and longer journey times for residents (and visitors) with cars, deliveries and taxis. “A sensible, equitable approach would be to reverse the first set of closures on Wordsworth Road – even partially – to temporarily rebalance traffic across the area and take some pressure off the worst affected streets. 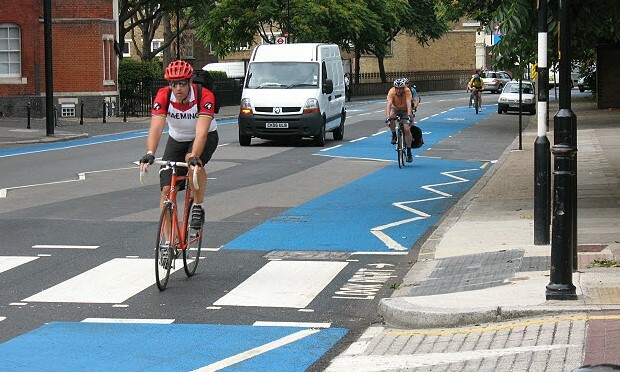 But Hackney Cycling Campaign coordinator Jono Kenyon welcomed the plans, saying: “Getting more people cycling by making it more attractive, and restricting motor vehicle use, is absolutely the way forward and is fully endorsed by Hackney Cycling. “Modal filters allow local access by car but also people on bikes and pedestrians to easily and safely use a street. Early respondents to the consultation survey found themselves unable to complete the council’s questionnaire without registering support for one of the two proposals – even if they were opposed to any further road closures. The council admitted an error was made in the survey which made Question 7 mandatory, but confirmed the issue has now been amended. A Town Hall spokesperson said: “We have now corrected the form to allow respondents to skip this question if desired. For any responses received so far where no support has been shown for either option A or B, we will discount Question 7. A public forum for the Clissold and Stoke Newington wards is set for Monday 15 January, giving residents the opportunity to hear more about the plans and pose questions to the council. The meeting will take place at St Paul’s West Hackney, N16 7QB, which is on the corner of Stoke Newington Road and Amhurst Road. The consultation on the Walford Road plans closes on 26 January. To find out more about the proposals, or to have your say, please visit the council’s website here.